City Council President Michelle Wu. The Boston City Council voted to oppose a November ballot measure that would create or expand charter schools in Massachusetts, citing concerns that it would drain funding from public schools. City Council President Michelle Wu said she opposed lifting the charter school cap immediately without specific new funding legislation. “It is undeniable that the Boston Public School district feels the impacts of our funding system every year,” Wu said in an interview after the council’s weekly Wednesday meeting, adding that the council recently underwent a “grueling” budget hearing process in which school allocation was a contentious issue. Also at the meeting, the City Council passed a measure requiring all city departments to create a communications policy for people with disabilities or who are English-language learners. The measure also created a communications access coordinator to craft guidelines for each city department. The City Council created a 90-day working group to consider ways to eliminate plastic bag pollution in Boston. Councilor Matt O’Malley, who will chair the working group, said he is interested in considering measures other cities have taken, such as adding a small fee for the use of plastic bags of eliminating them. The council also ordered hearings on three other topics: the possible closure of the North End Nursing Home, homeless families living in Brighton motels who must send their children to school in September, and tobacco regulations. But on the meeting’s dominant issue, a vote on the charter schools ballot measure, the council voted 11 in favor and two — Andrea Campbell and Josh Zakim— opposed. Councilors O’Malley and Tito Jackson sponsored the resolution to oppose the charter school referendum question. The City Council’s vote is symbolic . The referendum question seeks to raise the state’s cap on charter schools and allow lawmakers to approve up to 12 new public charter schools each year. Critics of the question charge that additional charter schools would siphon money away from traditional public schools under the state’s current funding structure. Last month, the City Council approved Boston’s largest-ever budget, with a third allocated for Boston Public Schools. When presenting the resolution, Jackson said he was not for or against charter schools — in fact, he said, he sits on the advisory board of a charter school — but he is concerned about fair funding for education in the state. O’Malley agreed, adding there are “no protections in place” for public school funding. “It would be utterly catastrophic for traditionally public schools if this question were to pass without addressing 800-pound gorilla in the room, which is the fact we are woefully underfunded with our charter school reimbursement,” O’Malley said. Zakim said he opposed the resolution because he was “personally undecided” on the referendum question and felt the City Council needed to do more research and allow voters to decide. 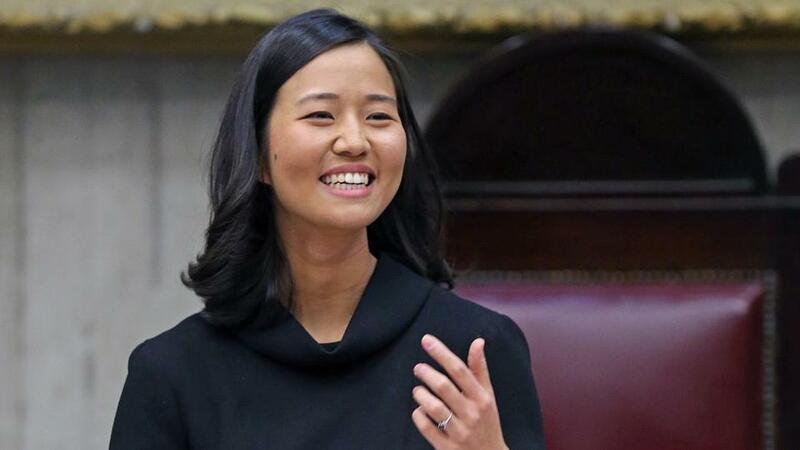 Campbell said she doesn’t want to “politicize the issue,” and that the Council should focus on improving the quality of Boston Public Schools. More than a dozen people from a procharter school group, Great Schools Massachusetts, attended the council meeting.